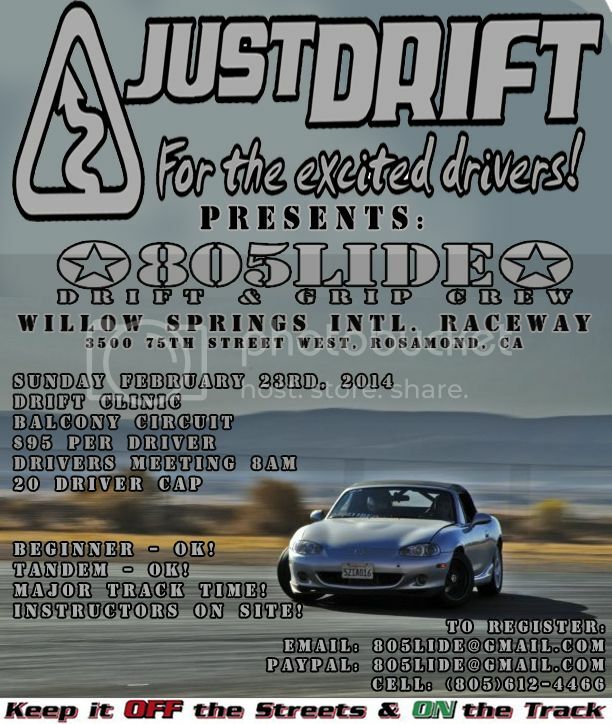 Some of you may have been to some of our 2013 events, that were all possible thanks to the the people of JUSTDRIFT. Anyone who has been to them knows that the track time for these events is ridiculous! Now we are back in 2014 with our season opener, so come and test and tune your cars before next months TOPDRIFT, or if you’ve never been drifting let us show you the ropes! We are 1st timer friendly all the way to advanced multiple car tandem! So don’t be afraid to sign up and start off your 2014 season with some major track time! No corollas interested? I dont want to be the only one! This event taking the brz, hopefully next events I'll take my levin. Corolla PWR!! !